Here are some interesting links of note. Danny Sullivan whinges about all the flavors of spam killing the utility of the web. John Andrews on the absurdity of calling affiliate links spam. Slightly Shady SEO looks at Google's user data empire. Alexander Hamilton's face is on every $10 bill, but his brand isn't doing so hot. Thomas Jefferson, meanwhile, has a strong brand, and he's only on the 2, and there are hardly any of those in circulation. What is a fair CPM rate for either gentleman to pay for this type of exposure? Seth highlights that connecting people is the easiest way to make money online. Business.com offers SEO Book members a $50 off coupon when they submit a site to the Business.com directory. SEO Black Hat is hosting another high level SEO conference, in Rio De Janerio. Michael Gray roasted Google for not allowing an opt out option on SearchWiki. At WembasterWorld Pubcon Brent D Payne mentioned that if you were covered in the Chicago Tribune, Los Angeles Times, or any Tribune Interactive publication, but were not linked to, then you can send him a tweet on Twitter and he will try to get your link added. Stuntdubl announced he is doing social media consulting again. He is probably amongst the top couple social media marketers. Joost de Valk created a cool Mint Pepper to show Technorati backlinks. Microsoft search may re-brand as Kumo. They would be better off buying Ask.com. Here are some funny SEO comics. I wrote a guest column for Search Engine Land about how using a consistent site structure helps build your SEO momentum. I did a couple interviews recently. If interested, here is on on GottaQuirk, and another on PalatnikFactor. Just in time for the holidays, Media Whiz's Text Link Ads launched a new links product named InLinks, which puts text links inside the content of sites powered by Wordpress, MovableType, and Drupal. Rather than links sticking out like a sore thumb by putting a rail of paid links in the sidebar or footer (the old text link brokering model) this allows for a more efficient marketplace that is more likely to pass link juice and be a bit harder to detect. The irrelevant links at the bottom of a page, which will not be as valuable for a user, don’t add to the quality of the user experience, so we don’t account for those in our ranking. All of those links might still be useful for crawl discovery, but they won’t support the ranking. As Jim Boykin would say, you want links within content linking to content. Matt Cutts was quick to say that this link buying program violates Google's TOS (and might be against an FTC guideline), but Shoemoney highlighted how Google is known to look the other was on such decisions when it is profitable to do so. Every time paid links is brought up Matt Cutts brings up the FTC’s “suggestions” on bloggers disclosing things they have been compensated for. In no where in these “suggestions” does it talk about paid links. But even if it did they are just suggestions. They are not law and if Google was following the FTC’s suggestions I doubt Google Adsense/adlinks would be engaging in some of the most deceptive advertising methods I have ever seen on the internet. When Google launched their affiliate program, you could only tell that the blended inline text links were affiliate if you read a small blurb when you scrolled over them. Some AdSense ad units do not even have the word ad near them...one commenter thought people could think a blog was promoting/endorsing homosexual fitness dating because there was no disclosure. It appears Google needs to clean up its own act before people will take that FTC comment seriously. Invariably I get the question, SHOULD I BUY LINKS? Wanna know the funny thing? Most of the people who ask me that question are the people who least need to worry about the risk. The risk motivating the question being whether or not they may be penalized by google instead of the risk being about going broke. Logic would dictate that anyone concerned about the risk of being penalized by Google, is actually worried about losing something they already have. In this case sales coming from targeted traffic generated from superior organic placements in the SERP’s. Fine, that makes sense as that is pretty much the definition of risk. Losing what you already have or at least losing a perceived opportunity that you have already made an investment in, (which was a calculated risk the minute a decision was made to put up a webpage and long before this question ever came up). But far more often than not, when I take a look at the site belonging to the askee, I see a site that looks like a third graders ransom note and written by a Marlon Sanders school of “But Wait – There’s More” drop out with a title tag that reads, index-Mozilla Firefox. Little traffic to speak of and certainly no sales to lose. There is VERY little visible investment in design, content or anything else. Yet they brag of the #3 spot they have for a keyword with over a million results like that is all they need for proof of their valuable contribution to the world of online commerce. I spoke to some folks at Text Link Ads who said that the InLinks inventory is separate from their traditional old-school link inventory. Is this new network on Google's radar? Absolutely, but then what did Google expect when they only penalized one link broker while letting all the others rank? In doing so, Google made their fighting paid links program much more difficult to manage. Might they catch some publishers? Sure, especially if they are greedy, aggressive, and use little to no editorial oversight. But some will do it smartly, and for most advertisers the risk is minimal so long as you use it lightly...many of these sites are well ingrained into the web, with thousands of legitimate inbound and outbound links. 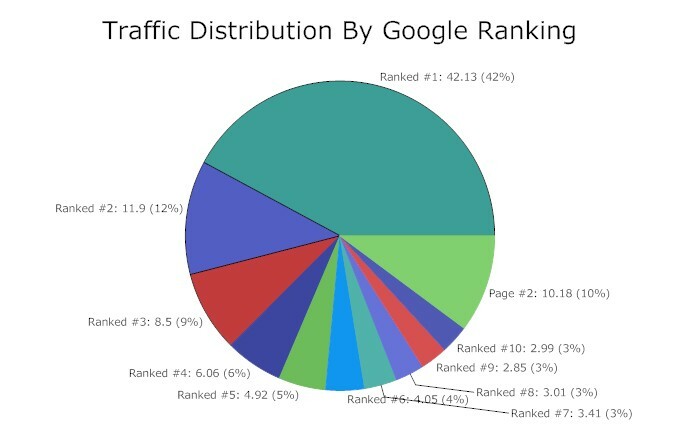 Most search traffic goes to the top few ranking results. I wouldn't use this type of linking program to try to go from #103 to the first page, but if you are ranking #8 or #12, buying a few of these links might be all you need to capture a profitable top Google ranking. and get $100 off your order by using the code 100free. Try it out, see if you like it, see if it works for you, and cancel if you don't see the movements you were expecting. Link building is hard work. Have you ever tried to get people to link to your pure commerce/commercial brochure-web site? You know how tough it is out there. The link economy has become so established, we've even got strategies built around the idea of never linking out. Once people perceive something to be valuable, they'll think twice about just handing it over for nothing. So what is an SEO supposed to do? The key to linking in an environment where there is high value placed on links is to think of linking less as a process, and more in terms of building relationships. Here are a few linking ideas designed to reduce the pain and increase the effectiveness of your link building campaign. The first step in your link building strategy occurs before your site hits the web. If you're thinking of launching a static brochure-ware site, and link building is part of your marketing strategy, think again. There is less chance for relationship building. Preferably, you want a site with plenty of potential for on-going community involvement and interaction. News Sites. Social sites. Blogs. Frequently-updated information sites. Teaching sites. Advice sites. Q&A. Wikipedia-style sites. The static brochure website will still have a place, but those sites with higher levels of user engagement will trump it. Posting what everyone else is posting is not interesting. Look at what everyone else is posting and take a new angle on the the topic. Don't just go one better, go ten better. Learn the lessons of The Purple Cow. Be worth remarking upon. People are hungry for unique, quality content. They'll link to you if you have it. If your competitors are spending ten minutes on their posts, you spend a day. Spend a whole week. Cover areas no one else is covering. Make your posts game-changing posts. You're going to need not one, but a consistent body of such posts. Think about the sites you link to. You need to aim to be better than those sites. At very least, you need to offer a point of difference in order to be linkworthy. If you're new, you're going to need friends. You're going to need influential friends. A link out to sites run by influential people becomes an advertisement for your site in their referral logs. People will follow the links back to see who is talking about them, and if you're got an impressive set of articles/posts, you'll be on their radar in no time. Most modern marketing is based on the idea of reciprocation. If you do something for others, without requesting something in return, most people feel they should reciprocate. Give something valuable. Give wide. Give freely. Some of it will eventually come back. Give nothing, and you're guaranteed that nothing will come back. The less commercial you appear, the more likely you'll get linked to, especially from .edu and other authority information hubs. Few people want to link to sites plastered with advertising unless that site already has established authority. You can introduce advertising once you've built up link authority. Make people feel important. Make them look good. If you make them look good, they'll want to point that fact out to others. They'll do your marketing for you. This tip flows on from flattery. Write about companies in a good light. To find companies that have "in the news" style pages, do a Google search for [your industry + "in the news"]. Monitor upcoming news stories. Use Google Hot Trends, subscribe to Google Alerts, and check out Twitter stuff like Twitter Search and Twitscoop. Write stories about fast-breaking events that have little competition but high interest levels. If the meme gets big enough, news sites will look around for content to quote, and, given a lack of competition, hopefully they'll quote yours. 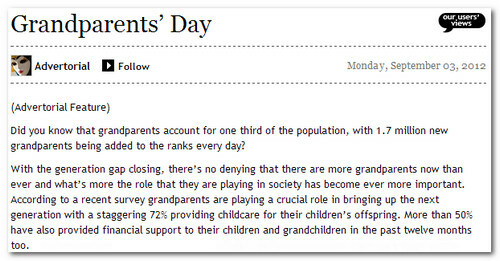 Participate in answer sites, forums, article sites, Wikipedia, Squidoo, Amazon et al. Contribute something of real value. You'll get direct links in some cases, but at very least you'll raise awareness, which can translate into links down the line. Get your site re-designed by a high profile designer who has a history of showcasing his/her work. The cost of the design might be more than covered by the value of the inbound links and attention you receive, especially if the design is mentioned in trade bibles, like Smashing Magazine. Less about relationships, but good tools to have in the box. Trade links, ask for links, beg for links. Hey, it still works, although it's probably the least effective method, and most time consuming. Outsource this task, if you can. List with your Chamber of Commerce, Business Bureau's, Government Advisories, libraries, and other appropriate institutions. Link baiting is when you write content with the specific aim of attracting links. It works, but you've got to be careful with your pitch. Get the tone wrong for your audience, and you'll put people off. Almost all press releases end up in the web equivalent of the wastepaper bin, but if you can provide a fresh, newsy angle, there is significant potential for links. Try combining link bait strategies with press release strategies. A local angle works well for local news services, who are often starved of local news. Keep the following criteria in mind when evaluating which web directories are worth your time. Offer direct links - i.e they aren't routed through a script, or no-followed. High crawl frequency - check out the latest crawl date in Google cache. If the directory pages haven't been cached in months, chances are Google may regard them as low quality. Look for quality standards - Matt Cutts outlined Google's view of a good directory. Directories that stay closest to these guidelines are more likely to be around for the long haul. For more detail, check out Web Directories...are They Relevant to SEO? Links have been so important for so long now, but are things about to change? In the dark, distant past - 1997 - the web was about publishing. However, the web ecosystem is evolving into more of an interactive space, based on platforms. As a result, we're seeing a different kind of website emerge - it is more "place" than "brochure". Think Facebook, YouTube, Wikipedia, Blogs, et al. We're seeing more applications. We're seeing more cloud computing. The web is becoming a place where we truly interact, as opposed to simply publish. Google's ranking models have, in the past, been based on publishing models - specifically, an academic citation model in the form of PageRank. This approach will become less effective at determining relevance as people move away from the publishing model and towards interaction and engagement. Google realize this, of course. This is why I think Google will be adapting their model to monitor and gauge interaction. Interaction will become a new valuable metric as to a sites worth, which will flow into ranking. "As we're already seeing, people will interact with the cloud using a plethora of devices: PCs, mobile phones and PDAs, and games. But we'll also see a rush of new devices customized to particular applications, and more environmental sensors and actuators, all sending and receiving data via the cloud. The increasing number and diversity of interactions will not only direct more information to the cloud, they will also provide valuable information on how people and systems think and react..... As systems are allowed to learn from interactions at an individual level, they can provide results customized to an individuals situational needs: where they are located, what time of day it is, what they are doing. And translation and multi-modal systems will also be feasible, so people speaking one language can seamlessly interact with people and information in other languages." Notice the frequency with which Google use the terms "interact". I think this hints at the future direction of search and ranking. Google will increasingly shift from measuring external popularity metrics, such as linking, to measuring the level of interaction, if they are not already doing so. This all points to the increasing role of engagement metrics. In order to positioned well in the future, you'll need to think as much about the level and type of interaction on your site as you will as you will about link authority. This comes all the way back to my first point above - build a site with plenty of potential for relationship building. Further to my post the other day about SEO Blackholes, here's an interesting study regarding the value of linking out. If you provide something people really want, they'll keep coming back. There is a black hole forming. These black holes aren't the result of the CERN Hadron Collider. They are forming for two reasons: the desire to keep people on site longer; and to hoard link juice, in order to dominate the SERPs. Increasingly, top-tier sites are becoming cagey about linking out. They are more than happy to be linked to, of course, but often the favor is not reciprocated. Check out this post by SEOBlackhat. Uber-black hole, The New York Times, seems reluctant to link to anyone but themselves. This is especially annoying when they write about websites. Wikipedia no-followed their links some time ago, thus forming a PageRank variant of the black hole. The mini-me black hole, as practiced by TechCrunch. Rather than directing you to a site mentioned in an article, TechCrunch would direct you to their own CrunchBase entry instead, thereby keeping you on-site longer, and passing link authority to their own web pages. As a result, a search on Google for a sites' name may well bring up the CrunchBase entry. To be fair, TechCrunch does also link out, and there is an explanation as to why TechCrunch aren't as bad as the New York Times here. The result is a link-love black hole. Sites using such a strategy can dominate the rankings, if they are big enough. So if you wanted to create a blackhole, what would you do? Now, if you're an SEO, you might be feeling a tad conflicted about now. Why wouldn't every SEO do this? What if you owned a black hole? Isn't that the ultimate SEO end game? In the long term, I doubt it. If this problem becomes too widespread, Google will move to counter it. If Google's results aren't sufficiently diversified, then their index will look stale. If you search for a site, and get third party information about that site, rather than the site itself, then this will annoy users. Once confidence is lost in the search results, then users will start to migrate to Google's competitors. Consider what you gain by linking out. There is social value in doing so. Black hole sites start to look like bad actors, can receive bad press, and risk damaging their relationships with partners, suppliers, and communities. "..... The web is a great example of a system that works because most sites create more value than they capture. Maybe the tragedy of the commons in its future can be averted. Maybe not. It's up to each of us". The phrase Black Hole SEO was used by Eli on BlueHatSEO.com over a year ago to describe various aggressive SEO techniques. For a while Google was against the idea of seeing search results inside of search results, calling them redundant. But over the last couple years they losened up their stance on the issue...not only do they index and rank tag pages, but they go so far as generating content pages on the fly by entering keywords into search boxes on websites. Search and tag pages usually have some editorial input, but some community content sites (like associated content) automate the process of adding links to content through algorithms which are likely self reinforcing on rankings and revenues. eHow takes this one step further by automating the internal links and pointing them at recycled content from Dealtime, eBay, and Amazon.com...just in case you are shopping for Ice online ehow.com/shop_ice.html. Automated internal linking will become a big SEO trend in 2008 and 2009. Jim Boykin offers an interlinking tool inside his Internet Marketing Ninjas program, which came as inspiration for Gab Goldenberg to make a free Wordpress plugin to do the same. If a site like TechCrunch installs the plugin they could basically pick any phrase and own top rankings in a week. For smaller sites they might need to partner with a circle of 20 or so friends that swapped promotional editorial links back and forth. Search has been a driving force in lowering the value of most traditional media business models, but how useful will search be if most major publishing platforms aggressively use automated internal linking, especially if they start doing it to point links at custom advertising pages focused on high value keywords? The problem with many publishing business models is a high cost structure coupled with poor targeting. Automated internal linking fixes the targeting issue, and those ad pages would subsidize the cost of their editorial. Because different link brokers moved from Sponsored Links to inline linking, there's now a Google filter that looks for too many new links coming from old blogs. If you have a network of 40 aged blogs, go back into the archives, add a link to the site you want knocked down across the network; you'll knock someone down. A safer way to use the automated linking strategy is to look at data from tools like SEO Digger, ranking reports, analytics, and SEO Digger. See where you rank close to the top, and then add a few more links pointing at pages ranking for the best keywords...keep iteratively testing and make a number of smaller moves rather than automating mass shifts in PageRank, especially if you are doing automated linking cross site. I was just forwarded an email from a popular internet marketing list where a company gave people linking at them a chance to win $500 or $1000 for linking to them. For each link you put on a page online, before May 30th, 2008 midnight you could have entered into a draw for the cash prizes. For example; if you put up 5 links on various sites, blogs, or even in a forum... you get 5 tickets into the draw. We did not accept 5 links on one URL as 5 tickets to the draw; it needs to be 5 separate URLs. 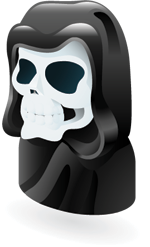 It is much harder for Google to kill paid links when those links come as a side effect of a contest or promotion. Email lists of would be internet marketers have grown less responsive as blogs offering free information have sprung up, but having an email list or other audience that is not public will be a valuable tool for running contests through such that you can buy links without being called a spammer. The beauty of having a list or large RSS subscriber base is that even if Google tries to take away your PageRank they can't take away your audience, which is already sold on you and do not care about your PageRank.